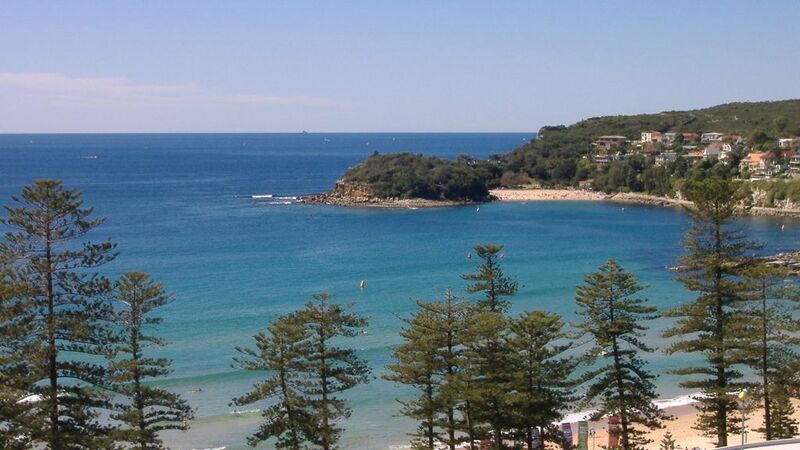 Central Manly location with superb Ocean and Beach views. No stairs at all from front foyer to inside apartment. The location in Manly was fantastic. We were right in amongst the cafes, shops and the beach and promenade were just out front. Wow, the views from the apartment which had everything for a great stay. Great location! Great views! Simply immaculate! Wish I could stay longer! Graham was excellent on reception and walked through all the essential and interesting details of the location and unit. The immediate area really can't be better for a great escape! There simply isn't any need for a car as all transportation and all stores and services are very walkable! The ferry, buses, and trains are super simple and Manly is a great jumping off point for all the greater Sydney area offers. Thanks Graham!!! Thank you Ed for your review. It was a pleasure to have you as a first time visitor from the US to our part of the Australia in Manly. You are most welcome stay with us again should you return sometime. You left our apartment in perfect condition which is always appreciated by an owner. Thanks again Graham. Thank you for your positive comments and also thank you for leaving my apartment as you did. You are welcome back at any time. Regards Graham. Would have liked to be able to open windows but owing to no fly screens, birds kept trying to fly into the apartment. Apartment was clean, everything needed was there. Good location. I am glad that you found the apartment fitted all your needs. Introduced recently to assist in the prevention of children falling through windows in apartment buildings, windows are restricted by government regulation to open no more than 125mm . At thirteen floor levels above the street it would be a danger to pedestrians below to have externally fitted fly screens and near impossible to maintain safely. There has never been a problem with insects at this high level, however as nature would have it, birds have been known on occasions to come and sit on the window sill attracted by previous guests feeding them which we request all our visitors not to do. We are so glad that we choose Manly and this apartment for our recent stay. The presentation and facilities provided were excellent and the owner Robyn went out of her way to lookafter us with early access on the day. Everything we needed for a comfortable stay was provided. The views were stunning and it was so close to eateries and shops and the beach & ferry wharf. Great week stay...apartment right in centre of Manly. Water & beach views were stunning from 9th floor of building, even better than we expected from the "stayz" website pics. Very comfy, large DVD library, excellent WiFi provided by owner Grahame who also thankfully met us at late time to suit our arrival time.